I absolutely just LOVE wood! Is that an affirmation or more of a confession? I don’t know. This is a Granberg Mobil Sawmill. I use mine with a Stihl MS 661 C-M with a bar 90 cm long. 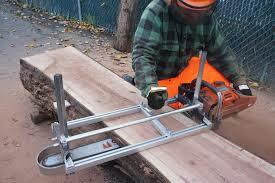 It really works great for ripping slabs off like in the photo above. I also have the oil distributor on my Granberg and the crank system to slowly inch it forward. It’s finally starting to get warmer out here in Burbach, Germany so I can get the toys out again. It really is a huge task getting everything prepared to mill lumber but once it’s dialed in … well, I’m still perfecting that. I had an enormous apple tree that we successfully sliced into thick slabs that I’ve used to make some benches with for outdoors. Moisture content is crucial and can not be overlooked. If you’re a wood enthusiast then I’d like to recommend an excellent book, the Bible of Wood if you please. 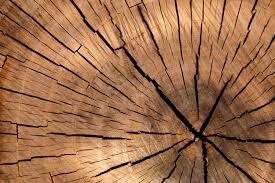 The characteristics and behavior of wood are explained so thoroughly here. Everything from drying and curing wood to examining wood under the microscope on a cellular level is covered. So that all said, we cut our apple tree into several 4″ slabs and brought them into the house and separated the slabs with 1″ stickers (boards) to help with air flow. Although this tree had been curing outside for years, it started losing a lot of moisture once inside and started checking on the ends. To slow down the drying process, I melted wax and painted it over all of the open end grain of the wood. The idea here is to slow down the moisture lose and minimalize checking, or splitting on the ends. Live edge lumber can be really beautiful. One of the slabs has become a bench. I sealed it with a boot sealer, Zaponlack. A friend recommended this for outside projects. I suppose it does the job however the surface started showing whitish blotchy areas almost immediately. I’ve got several more slabs and am ready to start another bench. This time I’ll try something different as a sealer. I need some suggestions! I’d love to hear what works for you. If you have suggestions, ideas or questions, send me an email! This may or may not sound crazy, but I’ve made my decision and the container is on its way. I would love to find people with experience to share their knowledge. I’ll be posting my building plans and cost estimates. I would just love to hear from somebody who has actually done this. Because until you actually have this Container in front of you, it’s hard to really fathom the final product and an actual home that’s inviting and pleasant to live in. For My current project, I’m using Wolf ‘s Max Pro 370 to trim 28 cut-of-control apple trees. What do you think? The link is below. Email me! Work from Home? Think LONG HAUL! By LONG HAUL I mean long-term, sustainable, growable and ultimately profitable. It is possible, but finding legitimate work from home jobs can be challenging. There are a lot of work from home business ideas out there. Almost regardless of what you’re peddling, you need a website and a web presence. Let’s say you’re growing a business and want to get up and running with a website. The quickest and easiest way to do so is to hire a webmaster. I have done that on Fiverr and was even quite happy with the results for a long time. But I didn’t know the first thing about how the site was made or how to change any aspect of it, even though I had experience with WordPress. I still have a great relationship with this webmaster and would definitely be happy to give you his credentials. My other website is still his design, booksyoga.com Email me for contact info. If you’re interested in seeing another site of mine, go to YogabyDoing.com. I am still working on the site obviously but I built it all myself after only about 1000 steps and only 100 videos. This is not a get-rich-quick scheme. Sure you learn ways to present your information in a way that gets better rankings because it is both useful sought after in keyword searches. Finally comes the day where I am going to build my first solar off-grid system. Since my father-in-law is an electrician, we have lots of little solar creations at our barn. The problem is, when somebody does it well, it’s hard it force yourself to really learn what is going on. Solar Power System – What do I NEED? The solar panel’s energy is directed first through an inverter to make the electricity more useable by the devices we want to power with it. 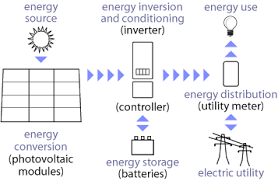 From the controller, we see the flow to batteries for energy storage or to direct energy use. 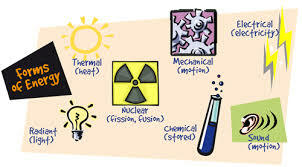 We also see the possibility of selling electricity which is for our example today uninteresting. Right now I’m only interested in building a system with a battery for energy storage, eventually batteries for a grid-tied system. I’ve been living in Germany for over 10 years now and have always felt inferior when it comes to my “hausfrau” qualities. Everything in a typical German household gets dusted weekly (ok maybe that’s just normal everywhere except in my house). Ok let me start over. 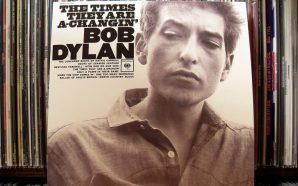 The Times they are a Changin’, Bob Dillan. I quit using all fabric softener for over a year now after reading about all the garbage we’re putting into the water to make our towels smell good. I honestly don’t notice much of a difference. Bleach makes a huge difference and I confess I even like the “germ-free” smell of clothes washed with bleach. You can’t buy bleach in Germany. I could probably order it online but honestly, now that it’s slowly becoming apparent to even me, I understand why not to go that way. So we need to become conscious and make an effort. Sounds simple, doesn’t it? I welcome you to join in with comments! I had an interesting afternoon with a solar expert. We cooked duck eggs on a parabolic cooker on which we also made coffee, boiling hot. jaaxy – what is it? If you’re not familiar already, Jaaxy is a search engine plus 30 free keyword searches per month. 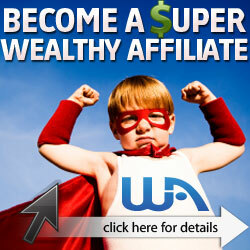 If you’re an internet marketer you should definitely check this out. Click here create your FREE Jaaxy account and see the options for upgrading. This may or may not sound crazy, but I’ve made my decision and the container is on its way. I would love to find people with experience to share their knowledge. I’ll be posting my building plans and cost estimates. I would just love to hear from somebody who has actually done this. Because until you actually have this Container in front of you, it’s hard to really phathom the final product and an actual home that’s enviting and pleasant to live in.